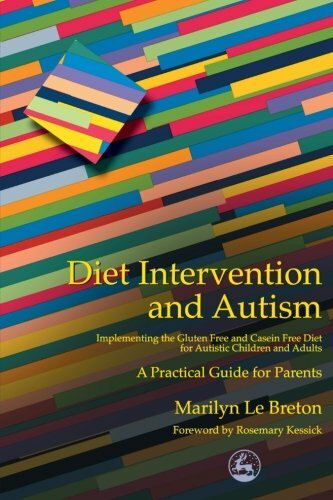 Explains how diet choices can influence the behavior of children with autism and outlines a gluten- and casein-free diet that may change the lives of those with autism. The diet excludes gluten, casein, monosodium glutamate and aspartame. The author explains what the diet is all about and how it works, what foods can form part of the diet and what should be excluded. She addresses frequently asked questions and misconceptions. Gives practical advice on basic equipment and ingredients, what to expect when your child starts the diet, how to adapt family meals and how to minimise cross-contamination in the kitchen.